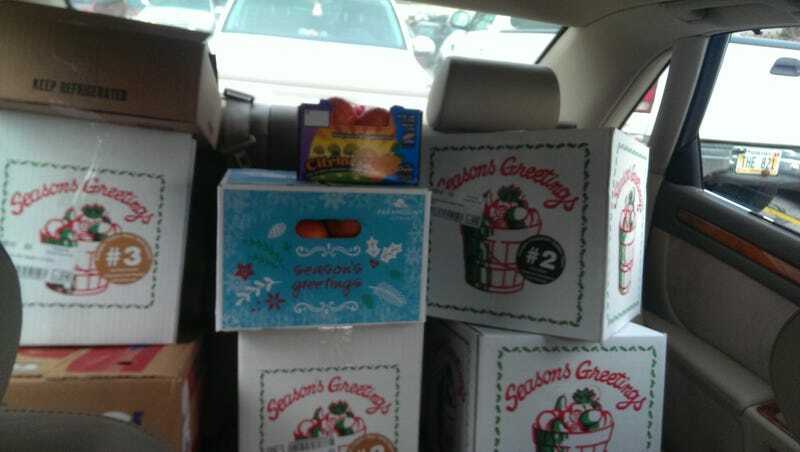 This is what it looks like when you sell $400 worth of holiday gift food for marketing class, and you don't have a pickup. Needless to say, careful driving was done. Happy holidays, Oppo. Have a tiny hood wreath.